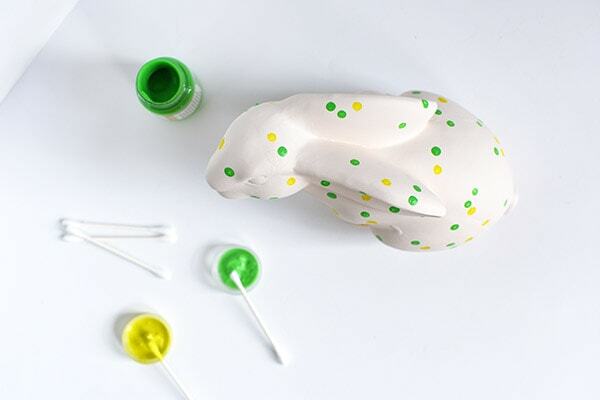 INSIDE : Learn how to make unique patterned Spring Bunny with polka dots. 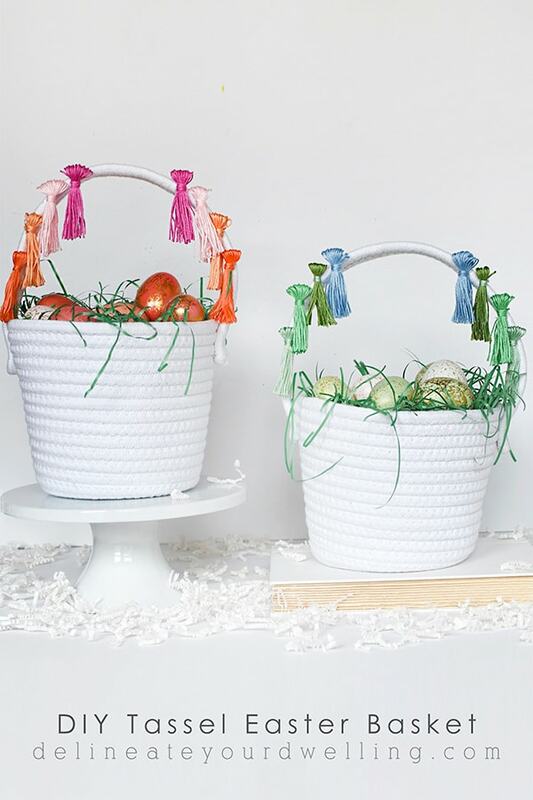 These fun centerpieces will be great additions to your Easter table this year. Oh spring time! In my opinion Spring is the second best season… a close second to Summer. I love Spring’s regrowth of all things living; from plants outdoors to even little nature creatures. 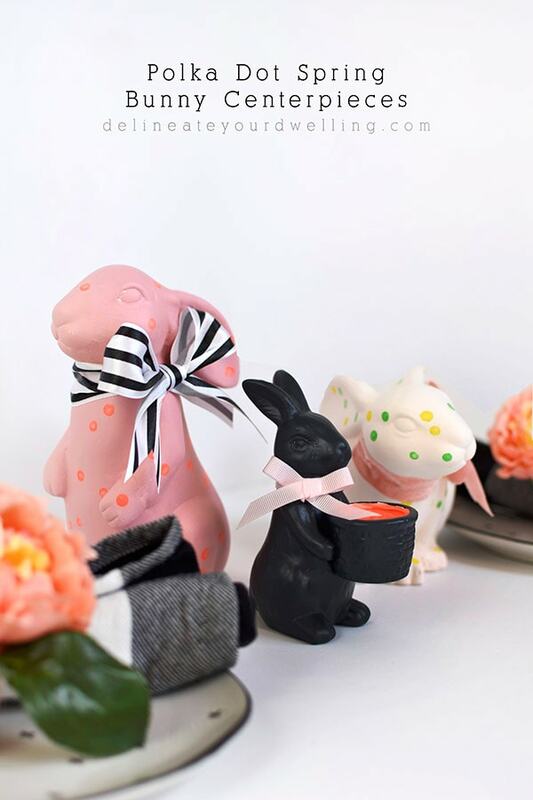 Today I am sharing a fun twist on a typical spring scene – sweet little bunnies. 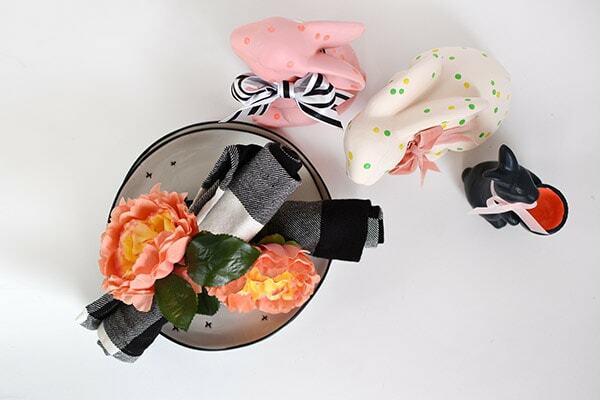 Check out how you can create the perfect quirky Polka Dot Spring Bunny Centerpieces! 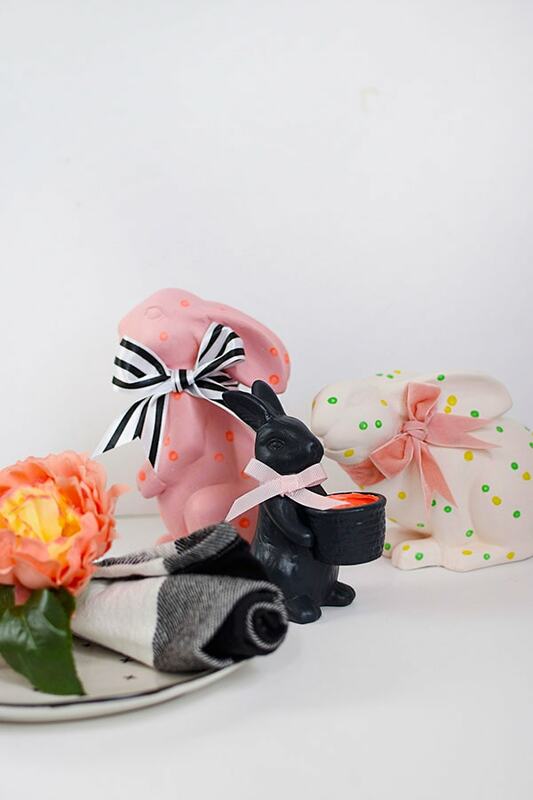 What supplies do I need to make Polka Dot Spring Bunnies? 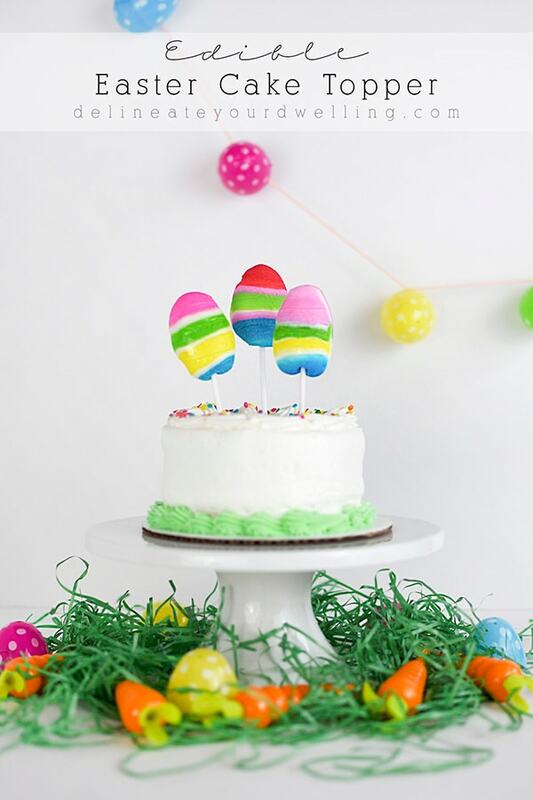 How do I make Polka Dot Spring Bunnies? 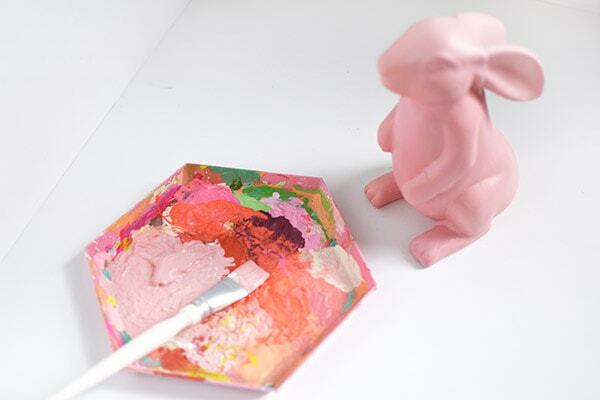 Start by painting one bunny a shade of soft pink and set aside to dry. 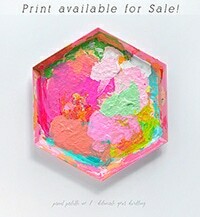 Once it is dry, add hot coral polka dots to this little cutie. My next bunny I kept the natural ceramic color, but using Qtips for that perfect polka dot shape, I added bright grass green and chartreuse green dots. 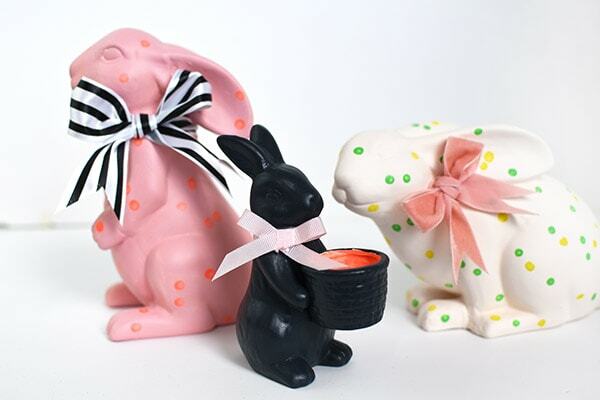 My last mini bunny holding the basket, I painted a dusty black color. And inside his little basket, I painted it hot coral. 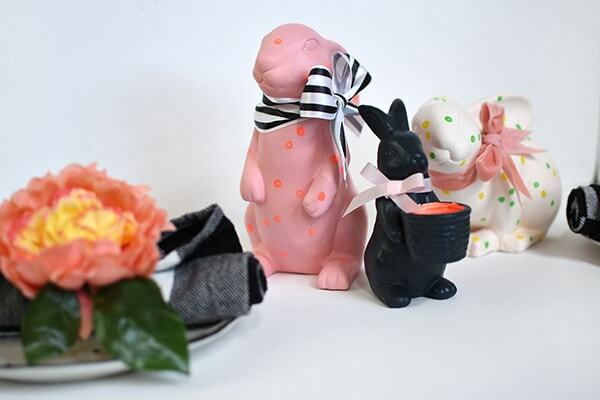 Once all the bunnies were dry, I tied big bright ribbons to each of them. I especially love the black and white stripe ribbon. I also used a velvet soft pink ribbon and a baby pink satin ribbon. I also added just one small dot of hot glue to keep those ribbons perfectly in place. 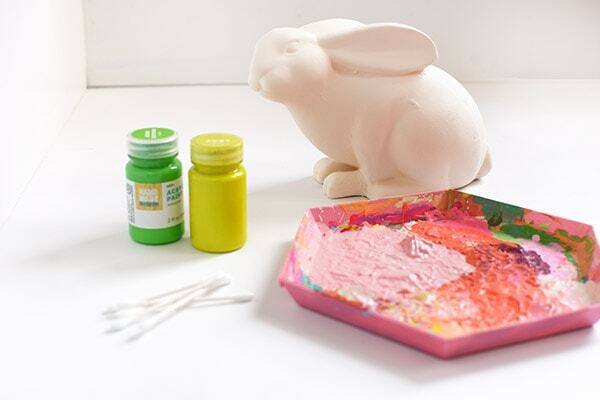 The final product is quirky colorful bunny centerpieces, perfect for your Spring table. I kept trying to decided which little bunny was my favorite. I love the pink on hot coral combination of colors. But, I’m always a little partial to green… so that one is also a favorite. But, the inside of the basket being hot coral on the dusty black bunny is pretty epic! So, basically I can not decide on a favorite at all. 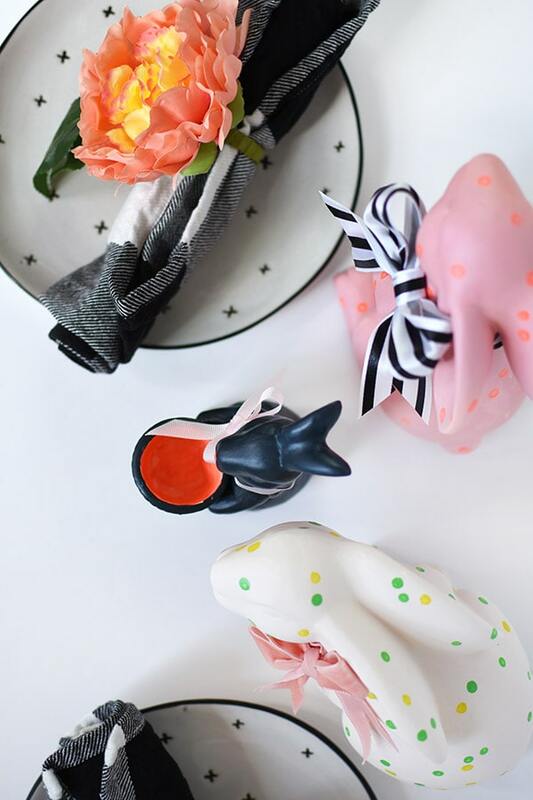 Pair these bunnies with some classic black and white buffalo check cloth napkins and big bold coral and yellow peony napkin rings! 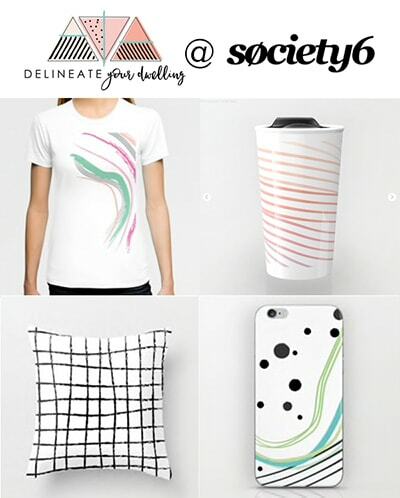 PIN THIS FUN IDEA FOR LATER! Do you typically go more classic in your spring decor or do you like to mix it up a bit each season?? Let me know. 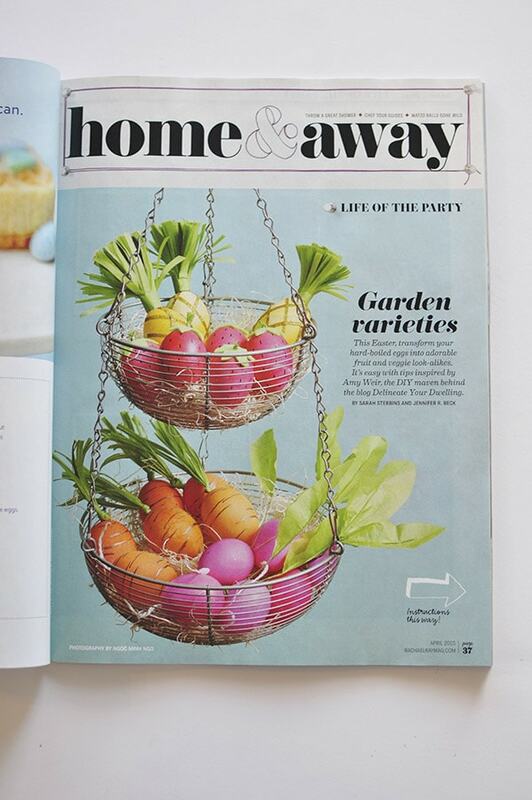 Looking for more fun Easter and Spring decor? 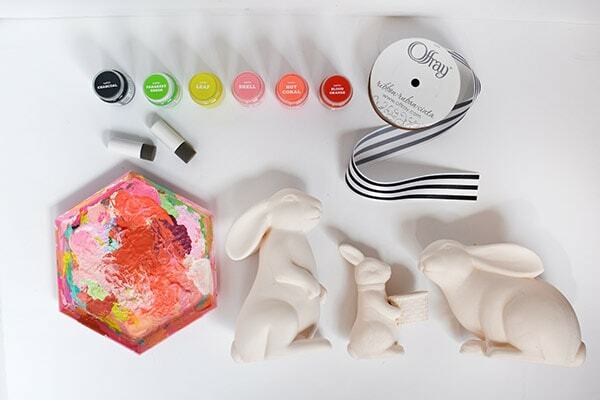 Head over to Oriental Trading for these fun supplies. 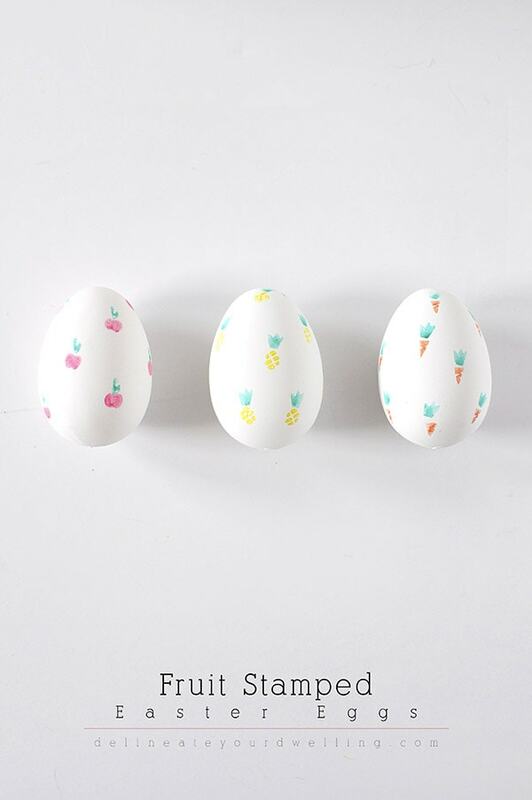 If you are still looking for more creative ideas, check out a few of my past Easter Egg DIYS. They look so cute and classy!